One of Parrot's special interests is science. 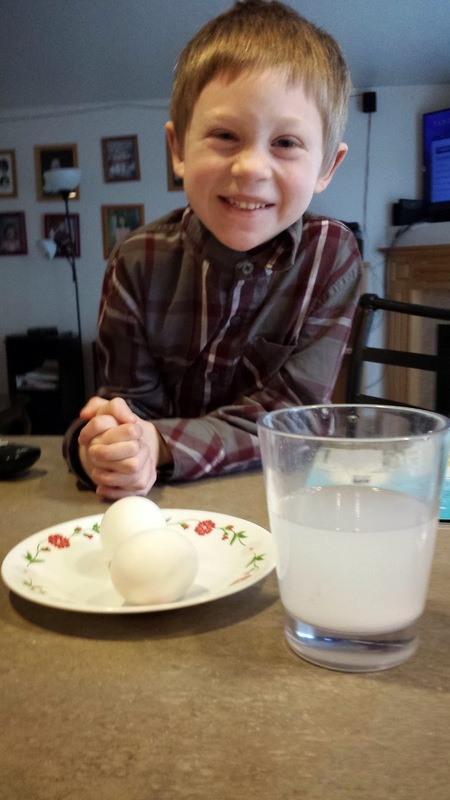 His biggest ambition is to become a scientist who studies everything. Parrot is constantly reading and learning every single day and he has an ever growing collection of science books for kids. Today I am starting a new feature on The Talbert Zoo, titled "Science with Parrot." 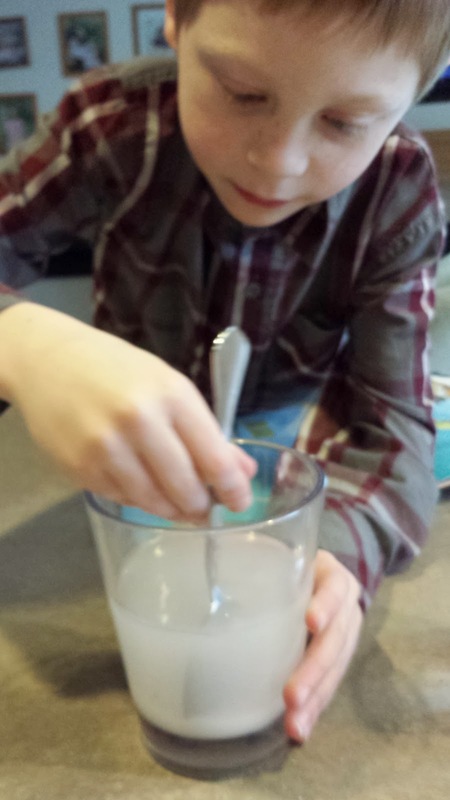 I promised my little boy that I would do more science experiments with him. So I will follow through and do an experiment on the weekends with him and write about it every Monday. 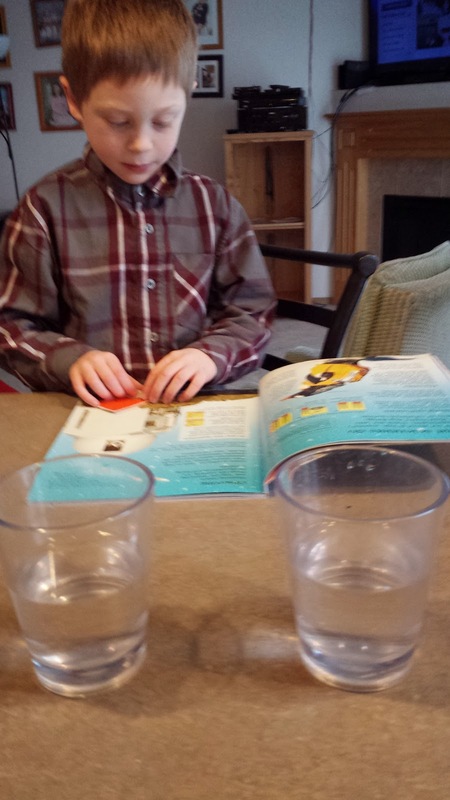 The kids did not have school today so this morning we got out Parrot's "Usborne First Encyclopedia of Science (Internet-Linked) " out and I had him choose an experiment. In his typical, logical Aspergian way he chose the first experiment in the book. 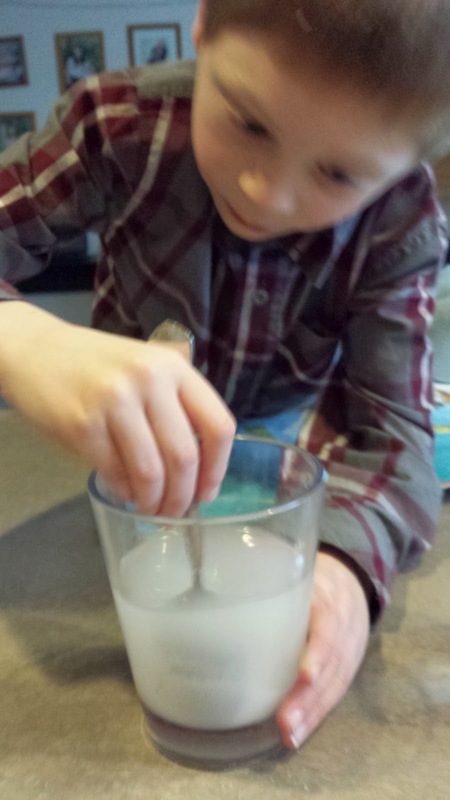 Find out if adding salt to water will make a difference to how things float. 1. 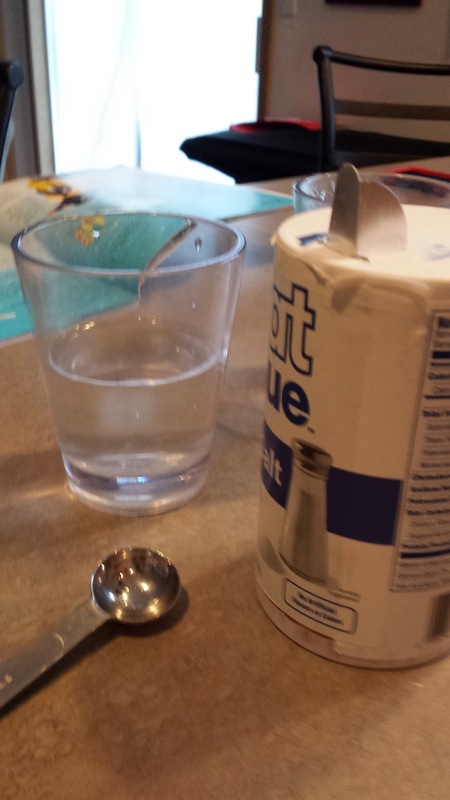 Stir the salt into one glass of water until it has dissolved and in invisible. 2. 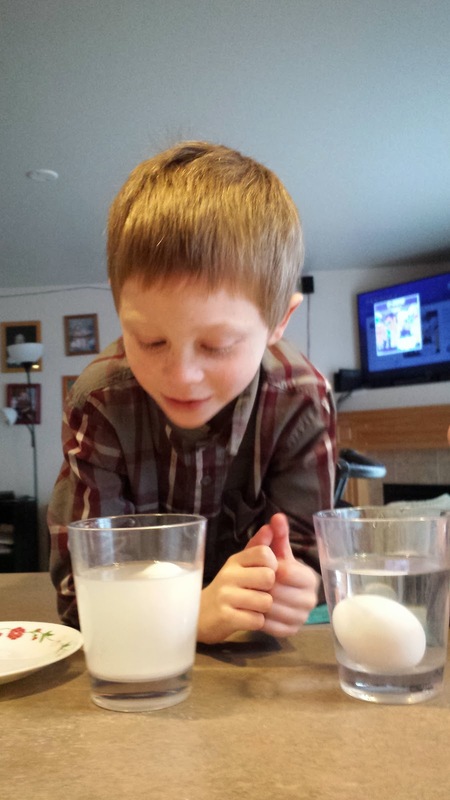 Put an egg in each glass. 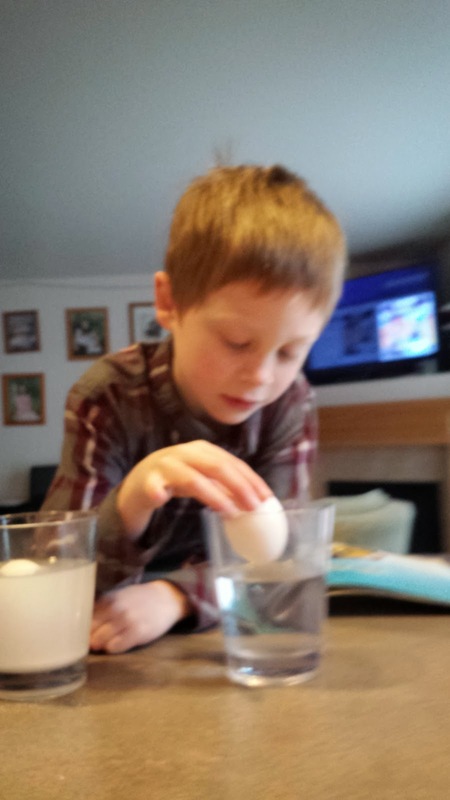 Do both eggs float? Do they behave the same way? This was a fun and simple experiment. I am looking forward to doing the rest of the experiments with him in this book. 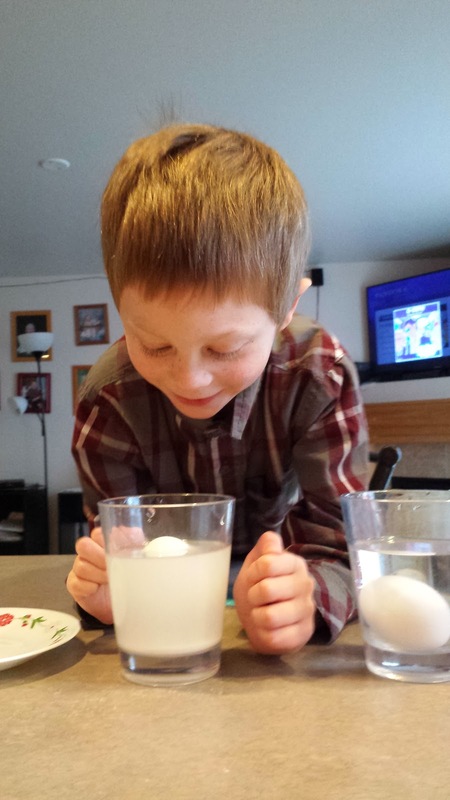 Have you ever done science with your kids? 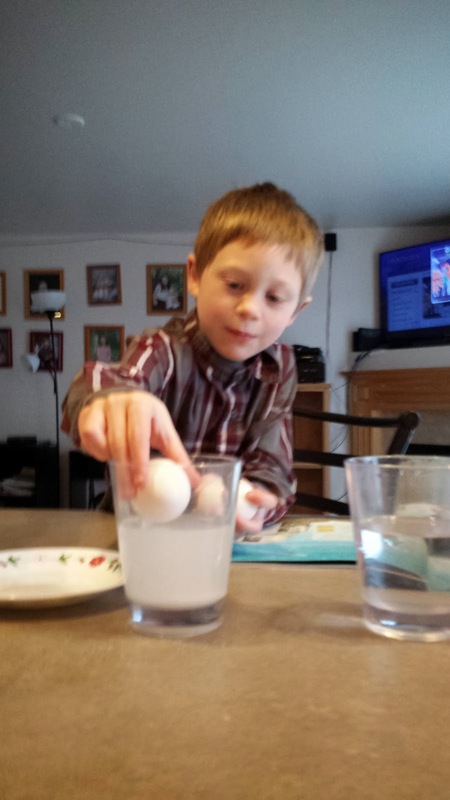 If so, how do you teach science in your home?